Earlier this month, we reported that Night Sight is now available for Pixel and Pixel 2 series smartphones. This is possible with the help of a modded Google Camera APK. 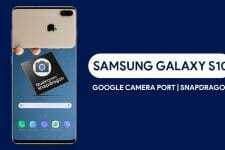 Now, you will be excited to know that Google Camera Port with Night Sight mode is now available for non-Pixel devices too. Talking about Night Sight mode, Google launched the most leaked smartphone of this year, the Pixel 3 and 3 XL. This launch was conducted by the search giant earlier this month. However, there was still something up the sleeve of Google even after all those leaks. And this was the announcement of Night Sight mode on the Google Pixel 3. Basically, Night Sight mode is a way to enhance and brighten up the images in pitch dark environment as well. Google showed a demo of the Night Sight mode on the Google Pixel 3 in its presentation. And, it is fair that we say that everyone was stunned to see the image difference. Here is the image which Google showed in its Pixel 3 launch slides. After looking at the image, you will be amazed as well. But, there were people who started to doubt that this could be a reality. After Pixel 3’s launch, Tech Enthusiasts around the world questioned whether the demo shown by Google can even be possible. 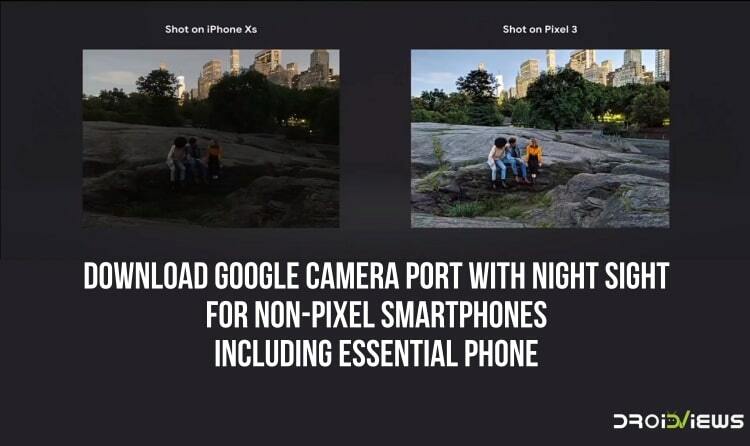 Google announced at the event that Night Sight mode will be first available for Pixel 3 devices later this month. After that, Night Sight mode will come to the Pixel and Pixel 2 smartphones too. How does Night Sight mode work? Technically speaking, Night Sight mode can be achieved by other Android devices too. It is possible without Google Camera as well. For this, you just need to have a professional mode on your device. You can achieve results same as Night Sight mode by adjusting shutter speed and ISO in your Camera’s Settings. However, you don’t have to worry about all those things anymore. This is because the Night Sight mode is available for the non-Pixel smartphones as well. This is thanks to a modded Google Camera app from Arnova8G2. However, it is worth noting that the modded Google Camera with Night Sight doesn’t currently work on every Android device. Which non-Pixel devices are currently supported? Arnova8G2 mentions that the modded Google Camera app currently works on Xiaomi Mi 5. Apart from that, it is working on the Essential Phone too. The developer has also mentioned that he is actively working to bring this modded Google Camera app to the OnePlus 6. Currently, features such as burst capture, slow motion, Photobooth, and the Night Sight mode are not working on the OnePlus 6. Also worth mentioning is the fact that neither Essential Phone nor the Mi 5 gave the same quality of Night Sight as the Pixel phones. However, it is still a good start for future things to come. This can definitely be improved by future updates to the Google Camera mod. All you got to do is download the application attached in the Downloads section first of all. Once the application is downloaded, just install this application to your device. Now, open the Google Camera app and start clicking the pictures. 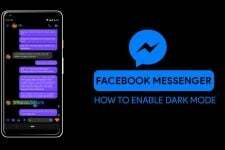 For Night Sight mode, you are required to go to a darker area for getting the desired results. Once you are in Dark lighting conditions, Google Camera will automatically suggest you use Night Sight mode. Keep in mind that this Google Camera mod is known to be working on Essential Phone and Mi 5. However, it may well be working on other non-Pixel devices apart from above-mentioned ones too. 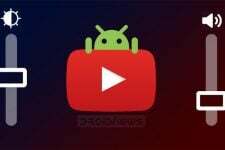 If this mod works on your device then just comment below along with your device information.